When it comes to achieving the best results with self-tanning, your first priority as a person with fair or pale skin is to choose a top-quality product. Your next priority is to maintain a resolve to routinely moisturize your skin after applying self-tanner; that is, if you want your hard-earned tan to last. Once you have found a self-tanner that works well with your light skin tone, your duty to ensure a long-lasting, lustrous glow is still at large. Aside from a quality product and a post-tanning skin care plan, you will also need the right supplies to make the process easy, effective, and most importantly, successful! Continue reading to learn the top 3 self-tanning accessories you need to get a beautiful tan that stands the test of time! Accessories are important for any type of beauty product or regime. After all; can you imagine using a beauty blender to apply mascara? The right accessories will help you render the best results, which is a theory that strongly translates to self-tanning. The top 3 self-tanning accessories you need to get an even, glowing tan include blending cream, lotion mitt (or applicator), and exfoliating gloves. Here are some details on how they can improve, and even simplify, your self-tanning regiment! Blending cream is a miracle product in the tanning industry. It is specially designed to make self-tanner blend evenly over areas of the body where skin is thicker, such as the knees, ankles, and elbows. It prevents dark spots in these areas, keeping your tan looking natural and smooth. A recommended product to consider for pale skin is Vanicream™ Moisturizing Skin Cream, which can be purchased on Amazon.com for $12.76 plus tax and shipping. Proper application is everything when it comes to self-tanners, but doing so while avoiding unsightly streaks can be quite the challenge. Fortunately, you can overcome this challenge by using a lotion mitt. As an added incentive, a lotion mitt protects your palms from heavy staining or discoloration! You can purchase these tanning lotion applicator mitts for as little as $8 at any local drug store, or online. If you do not like mitts, opt for a standard tanning applicator wand, which work great on those hard-to-reach spots. Exfoliation is vital when it comes to producing the best tanning results possible. In fact, it is even important in a standard skin care routine. So in addition to your lotion applicator gloves, you will do well to implement the use of exfoliating gloves in your self-tanning application routine. These specially-designed gloves work similar to an exfoliating scrub, but without the added costs. As a cost-effective alternative, exfoliating gloves work well to help your skin develop the best-looking tan that will last for weeks, with good care of course. Looking for a Simpler Way to Tan? 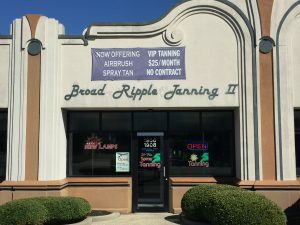 Call Broad Ripple Tans at 317-257-8262 you are looking for in Indianapolis tanning salon that has everything you need to achieve a beautiful natural looking glow affordable price. We offer a wide range of tanning products, services, and packages, including tanning discounts and selection of tanning beds. We also specialize in airbrush spray tanning services! Call 317-257-8262 to request a free estimate, today! Post-tanning moisturizing is the most important factor to prolonging your glow and maintaining soft, healthy skin. But which lotions are best for the job? Really, any quality lotion that feels good to your skin will do; after all, the actual act of moisturizing is more important than the actual lotion you use. On the other hand, there are some after-tanning lotions that are proven to work better at extending the life of your tan, all while giving your skin a healthy, clear appearance. Continue reading to learn 5 top-recommended after-tanning moisturizers, and where to get the best deals on them all! All of the after-tanning moisturizers and lotions listed below are affordable and high-quality. Before choosing one to buy, be sure to test it on your skin to see if it works well with your skin type. Most often, tanning salons have testers and free samples you can use for this purpose, so take advantage of such freebies on your next visit. Keep in mind, reputable tanning salons will have better quality products, so choose a good one! This lotion is 100% Vegan, as well as, free of Gluten, Paraben, and THC. It contains powerful skin care ingredients, including Hemp Seed Oil, Shea Butter, Ginseng, Vitamins A, C, and E, Sunflower Seed Oil, Calendula Flower Extract, Comfrey Leaf Extract, Chamomile Flower Extract, Cucumber Fruit Extract. This Australian Gold® product is an intense moisturizer that retains a triple action anti-wrinkle, firming and slimming complex, specifically a “lipocare miracle complex”, which can minimize UV related skin damage like cellulite and collagen loss. It also contains Hemp Seed Extract and a soft vanilla fragrance. This popular post-tanning lotion contains a kiwi pear fragrance and quality ingredients like vitamin D, E, and C, hemp seed oil, and avocado oil, which all promote healthier skin and a longer-lasting glow. It also contains anti-aging ingredients like phytoage and alpha lipoic acid. For best results, apply this lotion right after a shower. Norvell® Skin Solutions is a fantastic skin care brand that is paraben free, sulfate free, gluten free, cruelty free, and 100% Vegan. For self-tanning post-moisturizing, this particular product is one of the best rated. It has fruity, pomegranate aromas, along with natural enzymes and skin-perfecting ingredients that repair damaged skin and keep it hydrated for 24 hours. With active ingredients like sunflower seed oil, glycerin, aloe leaf juice, olive fruit oil, tea tree leaf oil, panthenol, Vitamin E, and other native Australian extracts, there is no question why this post-tanning lotion a natural, go-to for tanners. Best of all, this lotion can be used on both the face and body. Where to Find These Exact Lotions and More! Here at Broad Ripple Tans, we carry a full line of top-quality tanning lotions, skin care products, and accessories for all skin types! We offer a wide range of skin care solutions, tanning lotions, extenders, exfoliators, moisturizers, mists, cleaners, and more for both men and women. Some of our most popular skin care and tanning lotion name brand lines include the ones listed above, as well as, Devoted Creations, Swedish Beauty, Supre Tan, and more! You’ll find everything you could ask for in our luxury tanning salon; including complimentary items like stickers, eye protection, spray deodorizer, hand moisturizers, wet towelettes, and mints. Be sure to try out our free testers at the counter, too! If you have questions about our tanning products and prices, just give us a call at 317-257-8262, anytime. When you want to change up your same-old tanning routine, the perfect place to start is adding or upgrading tanning products. From moisturizers and lotions, to bronzers, tinglers, and more, the options are endless. But before you dive into a decision on a new tanning product, be sure to do your research and determine which is best for your skin type and overall complexion goals. One of the most misunderstood and misused tanning products are tingle tanning lotions. These lotions are meant for advanced or experienced tanners, and not recommended for those with sensitive skin or preexisting skin conditions. If you have heard of these products before, and interested in learning more about them, continue below for a list of the most frequently asked questions and answers about tingle tanning lotions. Tingle tanning lotions are called many names, both on the market and among social groups. You may hear them be called “tinglers” or “tingle lotions”, as well as, “hot action” or even “microcirculation” lotions. They are popular because they render a streak-free, natural sun-kissed look, and in a shorter amount of time. Basically, tinglers are the most intense and reactive tanning products you can buy on the market. They are designed to promote faster tanning action, while producing a natural, streak-free sun-tanned complexion. How Do Tingle Tanning Lotions Work? Tingle tanning lotions increase the circulation of blood and oxygen to the upper layer of skin (known as the epidermis), which promotes melanin production (a process called melanogenesis). See our blog, “How Does Our Skin Tan?” to learn all about melanocytes and melanogenesis. Melanin is what gives skin color, and producing more of it makes skin darker. In a tanning bed, the production of melanin is boosted further by UV light exposure, thus rendering a deeper tan. Tingle lotions also produce stimulus in the skin, or tingling sensation, hence their name. What are the Ingredients in Tingle Tanning Lotions? The most common ingredients in tingle lotions are methyl nicotinate, benzyl nicotinate, and a variety of moisturizing ingredients. Methyl nicotinate and benzyl nicotinate increase micro-circulation to the skin, while moisturizers, such as black currant, white tea extract, and essential oils, help keep your tan longer. See our article, “What’s Inside Your Tingle Tanning Lotion?” to learn more details about their common ingredients. Are Tingle Tanning Lotions Safe? Tingle tanning lotions are entirely safe when used according to manufacturer instructions. They are also approved by the FDA. However, some people have described the tingling sensation as painful or highly uncomfortable. For this reason, tingle tanning lotions are not recommended for those with sensitive skin or skin conditions. They are recommended for advanced tanners with experience using tanning products. Where Can I Get the Best Tingle Tanning Lotions? Call Broad Ripple Tans at 317-257-8262 you are looking for high quality tanning products at the most competitive prices around town. Our Indianapolis tanning salon has everything you need to achieve a beautiful, natural-looking glow at an affordable price. We offer a wide range of tanning services and products, including spray tanning and the most popular tingle tanning lotions on the market! Call 317-257-8262 to ask about our tanning products, packages, and prices, anytime! Just because it is Valentine’s Day doesn’t mean you have to wait to get that fabulous, glowing skin back. Broad Ripple Tans is open today, and we have the best tanning packages and deals in town! Come in with or without an appointment, and get yourself a gorgeous tan that will be sure to remind your loved one exactly why you are the light of their life! Continue below to check out all we have to offer! We are OPEN on Valentine’s Day! Here at Broad Ripple Tans, we offer a wide range of professional tanning services, products, accessories, packages, and more! 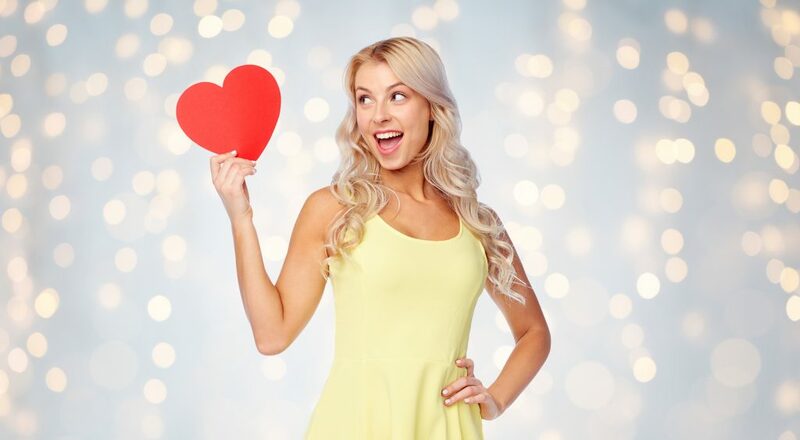 If you are looking for a quality tanning product for a special Valentine’s Day glow, our Indianapolis tanning salon has everything what you need, all at a price you can easily afford! We carry several lines of tanning lotions, moisturizers, serums, bronzers, and more, as well as, high-end skin care products that enhance and prolong tans of all colors and tones. All of our economically-priced tanning products are available in a wide variety of brands, including Australia Gold, Swedish Beauty, Hempz, Designer Skin, Supre Tan, Norvell Skin Solutions, Devoted Creations, and much more! Best of all, as a locally-owned and operated business, we truly understand the value of a dollar, which is why we offer our tanning salon services at the most competitive prices in town! We further increase savings by offering several generous savings with our incredible tanning packages and coupons! Right now, get 3 free tans when you purchase 10 sessions in a Level One bed! Or take advantage of our 25% VIP members coupon! And for all you spray tanners out there, buy 1 session and get the 2nd 50% off! Schedule a Tanning Consultation, TODAY! Here at Broad Ripple Tans, our expert tanning consultants thrive on helping our clients achieve their dream tan by providing professional recommendations based on their knowledge and experience in the tanning industry. We will gladly customize an effective tanning plan that will get you the color you desire, safely and efficiently, and all within your budget of course! We also offer free estimates anytime, so feel free to give us a call at 317-257-8262 and speak with a friendly tanning consultant about your tanning goals! Posted in Indoor Tanning	| Tagged Indoor Tanning Indianapolis, tanning bed Indianapolis, Tanning Products broad ripple, tanning salon open Indianapolis, valentines day tanning tips	| Comments Off on Get Your Valentine’s Day Glow On! Accessories tend to differ among men and women in the fashion world. But in the tanning world, they are virtually the same! When you are ready for another relaxing and beautifying tanning bed session, be sure to have these items on hand! Not only are they fun, they are also functional in terms of effectiveness, protection, and balance. The importance of protecting your eyes while tanning, whether in a bed or under the natural sun, is beyond critical. Read our article, “8 Shocking Reasons Why You Need to Wear Eye Protection in Tanning Beds”, to understand why you should always have your eyes covered when exposed to UV-light. 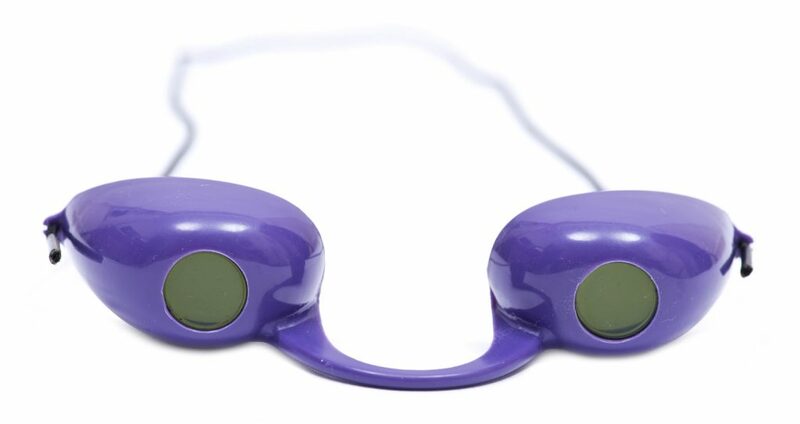 Fortunately, tanning bed goggles are comfortable, inexpensive, and available in a diverse selection of colors and styles. You can also use eye stickers, which are free at your local tanning salon! Tanning lotion is more than just a bronzer. These days, innovative advancements in tanning lotion formulas are geared more towards skin care and protection. Within modern, high-quality tanning products, you will find skin moisturizers, anti-aging elements, stimulators, micro-circulation ingredients, sun screen, and more. Read our blog, “What’s In Your Tanning Lotion?” to learn more. Choose the right tanning lotion for your skin tone needs and goals by reading customer testimonials and product reviews. It may seem counterproductive or contradictory to use sun screen in the tanning bed, but the reality is quite the contrary. Even when trying to achieve a shimmering glow in the tanning bed, your skin still needs a certain level of protection against UV-rays. In the very least, you should be applying sunscreen to your face, neck, and chest since skin tends to be more sensitive in these areas. You can also just choose a tanning lotion that has an adequate level of SPF incorporated into the formula. If you really want to have some fun, add stickers to your tanning bed routine! You can choose any solid-silhouetted sticker, or simply choose from the counter at your local Indianapolis tanning salon. Lips, palm trees, suns, moons, peace signs, hearts, stars, martini glasses, paw prints, and cars are popular choices. Simply choose a spot you would like to have a temporary tan tattoo, adhere the sticker, and then tan away! When you are through, remove the sticker to reveal a tan line in the shape of your sticker! Call Broad Ripple Tans at 317-257-8262 for high-quality affordable indoor tanning and air brush spray tanning services. Our neighborhood Indianapolis tanning salon is conveniently located right near Broad Ripple Village, and our tanning consultants are standing by to customize the perfect tanning course for you! Call 317-257-8262 to request a free estimate or information, today. There are endless options to choose from when it comes to skin care products and techniques. But among the infinite skin care possibilities, there is one standard to achieving brighter, healthier skin that all men and women should adhere to: eating a healthy diet! That’s right! You can literally eat your way to better skin by simply making some changes to your daily diet and eating habits. Continue reading to learn what your diet should consist of and how it can help your skin glow all year round! There are plenty of foods that contain ample quantities of antioxidants, which helps your skin rejuvenate. These include Vitamin C, grape extract, green tea, beta glucan, and kelp. Beta glucan is a type of fiber that can be found in wheat, rye, sorghum, barley, oats, shitake mushrooms, seaweed, and algae. Omega-enriched foods and ingredients help to keep skin hydrated. You can find these omega fatty acids in olive oil, chia seed oil, shea butter, plum oil, and passion fruit oil. You can also find them in fish, fish oil, flaxseed, nuts, leafy greens, and more. Natural skin replenishers keep your skin looking revitalized and glowing. Some we have already mentioned under omega-enriched elements since some plant oils also double as skin replenishers, such as chia seed and fruit oils. 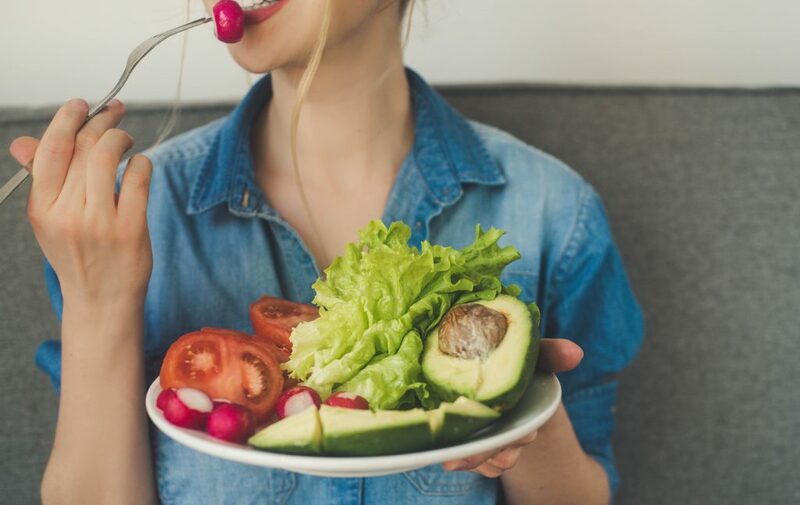 Other natural ingredients to add to your diet for skin replenishing purposes are plant-based ceramides (Phytoceramides) and hyaluronic acid, which can be found avocados, nuts, seeds, leafy greens, wheat germ, brown rice, spinach, and beets. To brighten up your skin, modify your diet to incorporate bearberry, mulberry, and arbutin. Arbutin is a glycoside and natural skin brightener that can be found in wheat and pear skins. 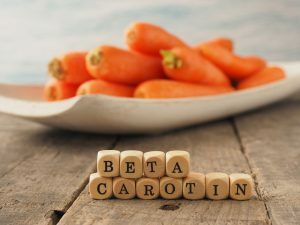 Other natural skin brighteners you can eat include carrots, sesame seeds, oranges, sardines, yogurt, kale, and lima beans. Skin soothers are necessary to keep redness and swelling at bay, whether from too much sun, sweat, or acne. Foods like licorice can help, as well as, oats and willow germ. Chamomile and cucumber can also help soothe skin. To help your skin continue to restore itself, or to give your face a fresh upgrade, include foods with natural retinols, peptides, and niacinamides in them. Peptides include meats, milk, eggs, fish, and soybean, while retinols can be found in liver, mackerel, and salmon. Niacinamides also include meats, milk, eggs, fish, but also include green vegetables and cereal grains. If you want your skin to combat frustrating acne breakouts with more vigor, include foods with salicylic acid in them. This is easy to do since it includes a diverse list of produce, such as green olives, chicory, capsicum, chili peppers, endive, gherkins, radish, tomatoes, pineapple, apricots, guava, grape, cranberry, and much more. It also includes a wide variety of nuts, such as Brazilian, pistachios, almonds, peanuts, water chestnuts, pine, macadamia, and much more. For a Healthy Glow, Get a Spray Tan! To achieve your best skin complexion, you will need more than a better diet. Combine healthy foods with a quality spray tan to look luminous all year long! 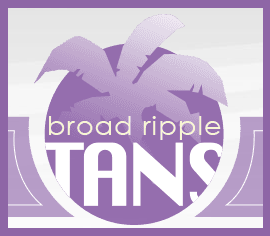 Call Broad Ripple Tans at 317-257-8262 for high-quality affordable indoor tanning and air brush spray tanning services. Our neighborhood Indianapolis tanning salon is conveniently located right near Broad Ripple Village! Your face is the first thing a person notices when they see you, so it is only natural for us to want our faces to look their best. Self-tanning products are a great way to maintain a healthy, lustrous glow all year long for the face. Continue reading to learn the top 3 myths surrounding face self-tanners, including how they should be applied and how they might affect skin and hair. ❸ Face Self-Tanners Will Not Stain Hair. FALSE. Unfortunately, many people find this out the hard way. Self-tanners for the face will stain your both hairlines and eyebrows, making it vital to follow all manufacturers’ instructions and take all necessary precautions. Try applying a little moisturizer around your hairline to protect it and render a more natural look, and use a cotton swab to remove self-tanner from eyebrows. Keep in mind that self-tanners can stain more than just hair too; they can also stain countertops, clothing, upholstery, carpet, and more. ❷ Face Self-Tanners Will Give Me Acne. FALSE…mostly. Any lotion or cream-based product is bound to obstruct your facial pores to some degree. However, most face products, including self-tanning lotions, are specially-formulated to protect the skin from irritation or breakouts. This, combined with proper skin care practices, should sufficiently protect your skin against major acne outbreaks. You may experience some bumps or clogged pores, but you should not fear the worst every time you use a face self-tanner. ❶ Face Self-Tanners Do Not Require Prep. FALSE. By far the most common and disconcerting misconception about face self-tanners is that they can be applied directly to the face, without any preparation. It is vital that you cleanse and prep the skin for self-tanning prior to application. To get the best results from your face self-tanning lotion, remove all makeup, cleanse and exfoliate the skin, and finish with a light moisturizer. If you are also apply self-tanner to your neck and décolleté, be sure to prep these areas as well. ✨ See our blog, “Important Tips for Using Self-Tanning Lotion” to learn more helpful information about self-tanning and skin care. Get a Customized Tan in Broad Ripple! Call Broad Ripple Tans at 317-257-8262 for trusted Indianapolis tanning services and more. We will professionally customize an effective tanning strategy that will get you the color you desire, safely and all within your budget. Request a free estimate, today. It is normal for cold winter weather to cause changes in our skin’s natural condition. Not only can the wind chill cause a wide range of skin irritations and discomfort, it can leave our skin looking dull and pallid. Fortunately, there are several ways you can better protect your skin and promote a supple, healthy glow all season long. Continue reading to learn some helpful and easy skin care tips that will get you started on the right track this winter! Regardless of age, gender, or skin type, skin reacts to changes in the surrounding environment. And the seasonal transition into winter is no different. The cold temperatures and inclement weather can leave skin feeling dry, itchy, and red. It can also cause flare-ups of existing skin conditions, such as rosacea, eczema, and psoriasis. These changes do not just result from exposure to the cold, they are also due to the heat in our homes and the hot showers we take. All these circumstances can affect our skin’s behavior in the winter. To combat these winter skin conditions, you must stay committed to a quality skin care regime. If you do not already have a routine, it is strongly encouraged to start one as soon as possible and continue it from now on. If you do have a skin care routine, you may just need to make some simple adjustments, additions, or upgrades. In the winter, your skin dries out easier, so you will need to stay on top of your moisturizing routine. Instead of increasing the frequency of application, it is recommended to invest in a stronger or higher-quality product. Not only will a stronger product provide longer, more effectual coverage, it will also save you money by avoiding going through your usual product too quickly. As mentioned in our previous blog, your skin is still prone to UV-ray damage when it’s cold and cloudy outside. So if you plan on leaving your house in the winter, then you need to incorporate a sunscreen product into your daily skin care regime. Apply a sunscreen spray, lotion, or powder every morning, and as needed throughout the day, to better protect your skin this winter. Dry skin lacks moisture, which is why using a moisturizing product in the winter is so imperative. But dry skin needs more than just lotion; it also needs more water. The more hydrated your body is, the more you can see it in your skin. The general rule of thumb supported by virtually all U.S. medical and health authorities is to consume 8, 8-ounces glasses of water every day. But in the winter, try exceeding this rule of thumb as much as possible for better quality skin. 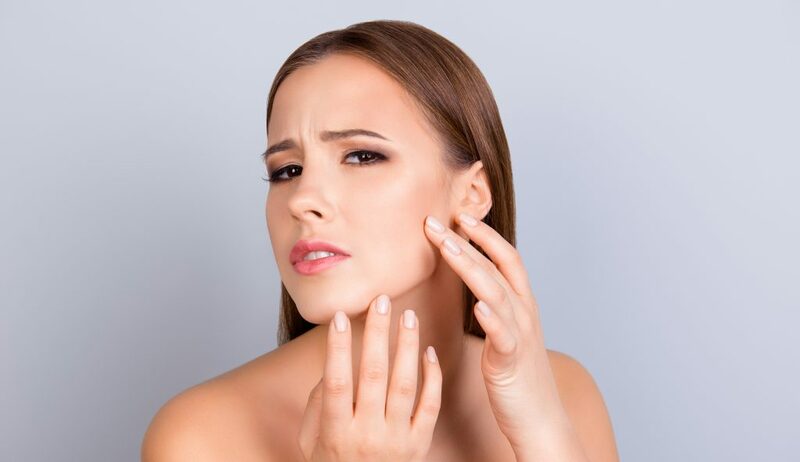 Aside from your normal moisturizers, serums, and creams you use on a daily basis, it helps to explore other types of hydrating skin care treatments. Try some moisturizing facials or clay masks, either at home or the spa, for a boost in facial hydration. You can even get facial massages to improve blood circulation! Another terrific way to ensure a lustrous glow all winter long is to get a tan! Not only does tanning promote Vitamin D production, which is great for our heart, skin, bones, and more, it also promotes weight loss, reduces the appearance of scars, and even improves your mood! See our blog, “The Various Benefits of Indoor Tanning” to learn more. Come to Broad Ripple Tans! Call Broad Ripple Tans at 317-257-8262 to hear our monthly tanning bed specials! We are a luxury tanning salon located in Indianapolis, just around the corner from Broad Ripple Village. We offer a wide range of tanning services, as well as, quality tanning products and beds. Call 317-257-8262 and ask about our tanning salon services, prices, and availability, today.